Rainbows and Unicorns collide to make these adorable Rainbow Unicorn Cupcakes. 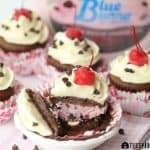 These magical cupcakes are perfect to serve at your next party. I am a firm believer that rainbows and unicorns are the perfect pair. I mean who doesn’t love cute rainbow unicorns, right? I do. Growing up, they were always so popular (and still are). I have loved unicorns since I was young. I think most kids do. So much so that my daughter brought me an adorable rainbow unicorn mug she found while studying in London this winter. She knows me so well. Unicorns are mythical, magical and ADORABLE! They are also a hot food trend now too. So I thought it would be fun to make a batch of Rainbow Unicorn Cupcakes. These cupcakes are as magical as they sound. But I promise they are not hard to make at all! But first, you need to head to A.C. Moore to grab a few supplies. I tend to get lost in A.C. Moore – very often. I shop there for most of the projects I make here on The Farm Girl Gabs. I also have a hard time sticking to my shopping list when I am there, but that’s a whole other story. With 135 brick-and-mortar stores along the east coast, A.C. Moore offers a large selection of arts and crafts products for crafty moms like myself. A.C. Moore’s proprietary brand, Nicole’s Kitchen has a great line of baking products and is only available in A.C. Moore stores. I found some really handy tools and supplies that I needed to make these Rainbow Unicorn Cupcakes. A.C. Moore has partnered with Create and Craft to bring you the A.C. Moore Hour at 11 a.m. every Wednesday. 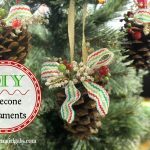 You can watch Create and Craft regularly for great craft ideas on DISH Network or stream online (also Roku, Apple TV, Fire TV) at createandcraft.com. Rainbow Unicorn Cupcakes call for colorful rainbow cake batter. I divided a basic vanilla cake batter into four equal parts. I tinted three parts pink, green and purple while leaving one part plain yellow. Spoon a little of each color into the cupcake tins. While the cupcakes are baking, roll out some white fondant. Use a small teardrop cookie cutter to make the ears. Cut out a smaller pink fondant teardrop shape for the center. Make the unicorn horn by twisting white and pink fondant. The horn should be thin and pointier at the top, and about 1 ¼ inches tall. Instead of coloring all the buttercream frosting, I used a toothpick and scraped some purple food coloring into the piping bag. This way, when you make your rosettes, only some of the frosting will be swirled. Pretty cool. To assemble, place the unicorn horn in the center and one ear on each side. Embellish with some fondant flowers, sugar pearls and sprinkles. These Rainbow Unicorn Cupcakes are adorable and fun. 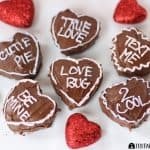 You can put your own special touch on them by adding different decorations or colors. I am a big believer in unicorns and rainbows and these treats are the best of both worlds. Line 16 cupcake tins with paper liners. In a large mixing bowl, add cake mix, eggs and milk. Mix well. Slowly add vanilla and butter. Beat on medium for two minutes. Divide batter evenly into four bowls. Color one bowl with pink, one bowl with purple and one bowl with teal. Leave one bowl plain. Swirl each color into each of the cups. Bake 15 minutes or until toothpick comes out clean. Add butter to mixer and beat on high. Lower speed and add sifted powdered sugar. Once incorporated, turn to medium and add vanilla and heavy cream. Turn mixer to high and beat five minutes until light and fluffy. Set aside. 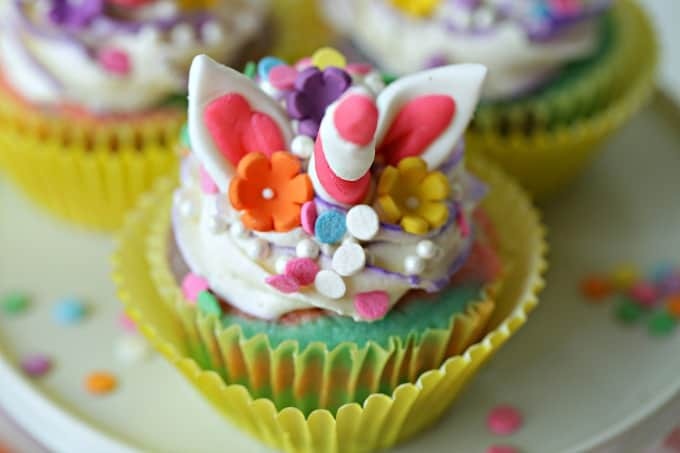 To make unicorn ears, roll out white fondant and use a small teardrop cookie cutter to make two ears for each cupcake. Mold a small pink teardrop by hand and place in the center of each white teardrop. To make the unicorn horns, make a log with white and pink fondant. Twist together making the point thinner at the top. Using a fondant cutter, trim each horn to 1 ¼ inches. Use a toothpick and add some purple icing color to a pastry bag. Use a rosette tip to swirl the icing on each cupcake. Place the horn in the center of each cupcake. Add an ear to each side of the horn. Embellish with sugar pearls, small fondant flowers and rainbow sprinkles.